As a beginner to crossfit it can be overwhelming. It is easy no easy task to learn all of the movements, special terms, and workout formats. With that being said, once you know the basics, you’ll be well on your way to reaching your fitness goals! Use the tips and resources found in this section to make the most of your training! Before your first workout, take the time to watch some technique videos online or watch how other people in the box move. During the course, listen to your coach and follow his or her direction closely. Learning proper technique from the start will help you move better and faster in the long run. It will also help prevent injury and keep you from developing bad technique habits that are difficult to break in the future. Become familiar with the basic things that will be key to your long-term success: beneficial stretches, helpful breathing techniques, how to properly load a barbell, what can you do to protect your hands from tearing in a workout, etc. Our coaches will always guide you in the right direction, but there is also a wealth of information to be found online from various sources and we encourage you to take a look there as well. 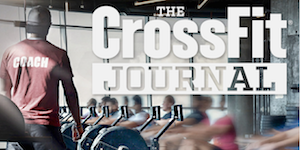 When you first start out with crossfit, resist the temptation to try to emulate things that more experienced crossfitters are doing. Instead, make sure you focus on your technique and learn to maintain a steady pace that corresponds with your fitness level. Monitoring your progress is one of the best ways to stay motivated and achieve your fitness goals. We recommend signing up for our Online Fitness Tracker here, where you can record all your workouts, and keep track of your progress. If you prefer paper, grab a notebook and start logging! Finding a workout partner can make a huge difference in sticking to any new routine. CrossFit is no different! Having a training partner can help boost motivation and accountability to show up and give your 100% each training session.